Everything about bricks is described in this article including brick types, materials, and construction methods. 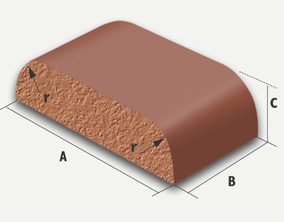 A brick molded with a rounded angle is termed as a bullnose. 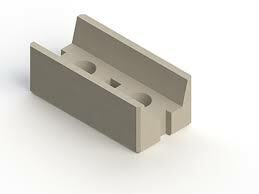 It is used for a rounded quoin. A connection which is formed when a wall takes a turn is known as a quoin. 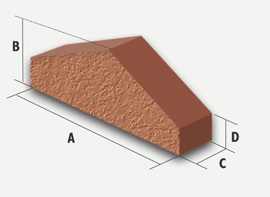 The center of the curved portion is situated on the long centre-line of brick. These types of bricks are molded to the shape of a gutter or a channel and they are very often glazed. These bricks are used to function as drains. These types of bricks are made to suit the thickness of walls on which coping is to be provided. Such bricks take various forms such as chamfered, half-round or saddle-back. A brick molded with a double bullnose on end is known as a cownose. These bricks are in the form of curved sector and they are used in the construction of circular brick masonry pillars, brick chimneys, etc. These are also known as the cellular or cavity bricks. Such bricks have wall thickness of about 20 mm to 25 mm. They are prepared from special homogeneous clay. They are light in weight about one-third the weight of the ordinary brick of the same size. These bricks can be laid almost about four times as fast as the ordinary bricks and thus the use of such bricks leads to speedy construction. They also reduce the transmission of heat, sound and damp. They are used in the construction of brick partitioning. 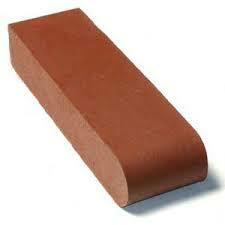 These types of bricks are prepared from clay containing higher percentage of iron. The excess iron vitrifies the bricks at a low temperature. Such bricks resist better the abrasive action of traffic. The paving bricks may be plain or chequered. 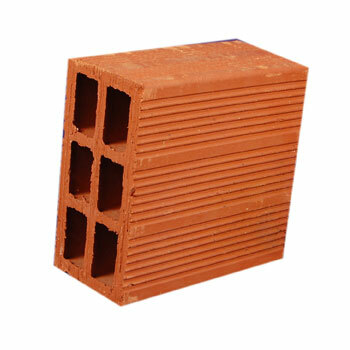 These bricks are extensively used for garden walks, street pavements, stable floors, etc. These bricks also render the brick floor less slippery. These types of bricks contain cylindrical holes throughout their thickness. These bricks are light in weight and they require less quantity of clay for their preparation. The drying and burning of these bricks are also easy. If perforated bricks of large size are used, it will result in the increase of output of mason. It has been observed that for tropical countries like India, the bricks with perforations of about 30 to 45 per cent of the total area of the corresponding face of the brick would offer adequate thermal insulation property. The perforated bricks are used in the construction of brick panels for lightweight structures and multi-storeyed framed structures. The perforations may be circular, square, rectangular or any other regular shape in cross-section. The distance between the side of brick and edge of perforation should not be less than 15 mm. The distance between the edges of successive perforations should preferably be not less than 10 mm. The water absorption after immersion for 24 hours in water should not exceed 15 percent by weight. The compressive strength of perforated bricks should not be less than 7 N/mm2 in gross area. Fire or refractory – highly heat-resistant bricks. Accrington – a type of engineering brick (England). 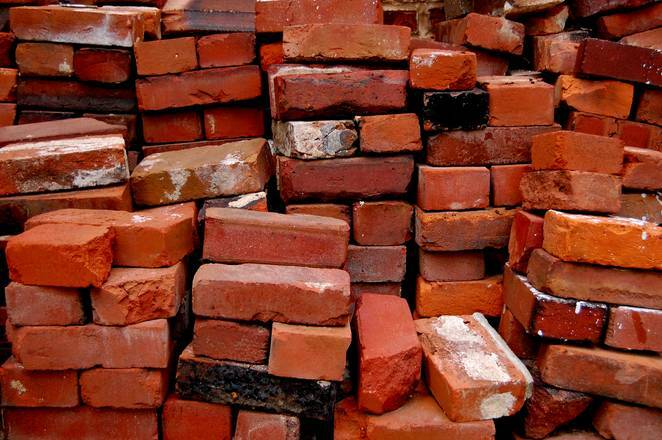 Acid brick – acid resistant bricks.